Inclusive of 200 grms. 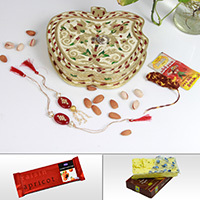 dryfruits in a beautiful meenakari box, designer rakhi for brother, lumba for bhabhi & roli moli chawal. 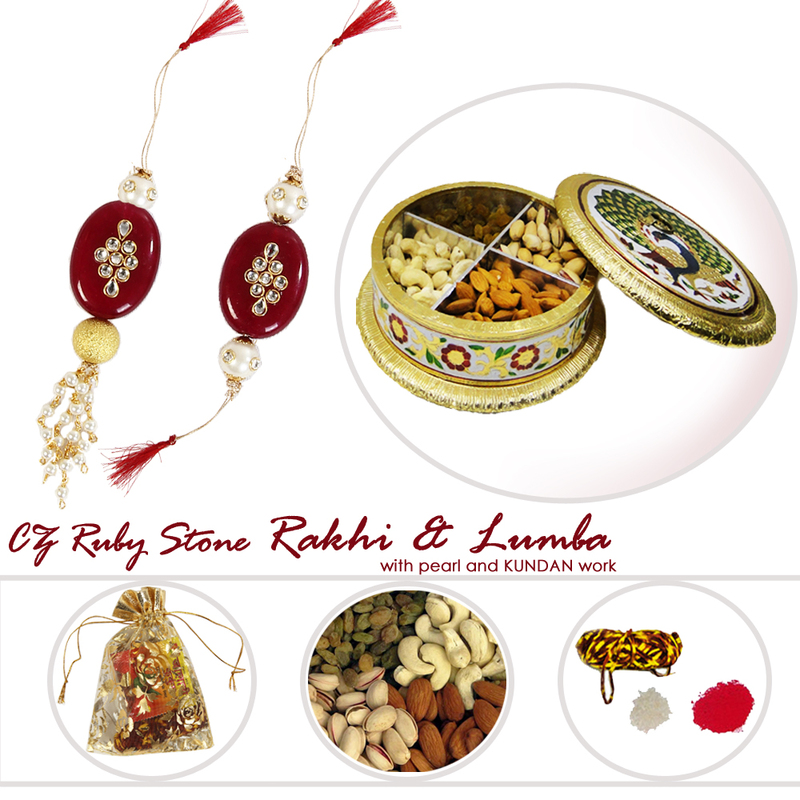 Sisters can remind their brothers of the unbreakable bond they share with them by gifting the combo of Classical Rakhi & Lumba with Dry Fruits Read More..Box on the day of Raksha Bandhan. 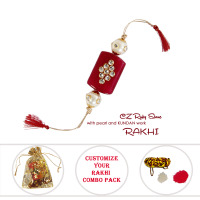 The designer Rakhi conveys the right sort of lively message to the brothers, while also bolstering the bond they share with their sisters. On the other hand, 200 gm of best quality dry fruits takes care of a more physical need of the brothers, namely their appetite for sweet delicacies. Thus, the Classic Rakhi & Lumba with Dry Fruits combo, along with Roli Moli and Chawal, makes for the perfect gift for celebrating Rakhi. Show Less..
Inclusive of 200 grms. 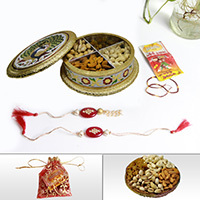 dry fruits in an elegant wooden meenakari box, designer rakhi for brother with roli moli & chawal. Inclusive of 200 grms. dryfruits in a handcrafted apple shaped meenakari box, designer rakhi for brother & roli moli chawal.